Got IT skills? You are Invited to Attend, Compete & Win! The nations newest and most exciting IT competition event for colleges and universities continues to grow and expand. Talk to RJ by March 1 if you are interested in attending this competition. There may be funds to help offset the travel and registration costs. 2018 Event Recap: 300+ attendees from 30 schools! It’s a strange week. I have no idea what month it is based on the temperature outside. Regardless, I hope you have time to get out and breathe some fresh air. If not, open your window! Here are some highlights on opportunities coming up to take note of. The list keeps growing. Each semester, we have a “nerd” night to inform others of what’s happening in the I.S. major, hear your questions about the program and feedback about opportunities outside of class, and to spread the word about the I.S. major to students who are still deciding on what to pursue. You can be a great voice to those who are undecided about their major. More details to come on when this gets scheduled. State Farm will be hosting Millkin at their south campus in Bloomington for a tour of their systems departments, data center, and to interact with alums working at State Farm. Plan on leaving campus around 8:00 and returning between 3:00 and 4:00. Transportation will be provided and so will lunch. Talk to your professors now about class, if there is a conflict. This visit is targeted for those new to I.S. as a major or considering as I.S. as a major. The Decatur Park District Board recently announced plans to close the oldest, most historic golf course in Decatur, Scovill Golf Course. Scovill G.C. was founded in 1921 and has accumulated numerous awards since its inception. For example: it’s a Top 100 Women-Friendly Course in America and is a member of the Audubon Cooperative Sanctuary System. To expand our performance learning philosophy and help meet increased enrollment goals, there is a unique opportunity for Millikin to help explore ways to save Scovill Golf Course and open new market potential. 2-6 hours per week – flexible if a project needs more time. Day of the week for the team meeting will be determined based on availability of team members and the entrepreneur. If you are interested, please send your resume to e-Center@millikin.edu by Wednesday February 22nd at 5:00pm and indicate you are interested in the Scovill Golf Course Agile Team. The students selected for the Dennis Agile team will be responsible for handling the beginning phases of commercialization of a dog toy designed by Dennis Lab middle school students. They will identify a market, create a marketing strategy and then implement the strategy. They’ll find viable strategies that can be tested and carried out by the Dennis Lab students and hand over a ready to go campaign to be implemented once at a manufacturing stage of the project. The students selected will have experience in entrepreneurship, marketing, digital media marketing, graphic design and business management. This allows for a variety of disciplines but flexible enough that they can work with each others ideas and research. 3-4 hours per week – flexible if a project needs more time. If you are interested, please send your resume to e-Center@millikin.edu by Wednesday February 22nd at 5:00 pm and indicate you are interested in the Dennis Lab School Agile Team. The Nerdery Overnight Website Challenge is a volunteer-driven program of the Nerdery Foundation, aimed at maximizing the community impact of nonprofit organizations through digital strategy and custom software design and development – all pro bono. Once we know who is interested, more information will be sent from Dr. Carrie Trimble. The Center for Computation & Technology (CCT) hosts a ten week Research Experiences for Undergraduates (REU) program where students work collaboratively on a wide variety of computational science projects. Each student receives a stipend of $5,000, free housing in university dormitories, and up to $600 in travel expenses to and from Baton Rouge, Louisiana. Ten students will be selected. Undergraduate, community college student, or high school senior attending college in the fall, interested in a major that is within the computational sciences umbrella (leaves out few majors as it includes all sciences, mathematics, engineering, finance, statistics, etc.) with at least a 2.75 GPA, considering a career in research and/or graduate school in your major, being a US citizen or permanent resident, and graduating at least one semester after completion of the REU. March 1, 2017: Application deadline. April 1, 2017: Notification of decision. May 22, 2017 through July 30, 2017: Program dates. The research activities of the CCT are organized into five Focus Areas: Core Computing Sciences, Coast to Cosmos, Material World, Cultural Computing, and System Science and Engineering. These are broad, and sometimes overlapping areas where faculty from diverse departments (Mathematics, Computer Science, Physics, Civil Engineering, Oceanography and Coastal Sciences, Petroleum Engineering, Mechanical Engineering, Electrical and Computing Engineering, Music, Business, etc.) collaborate in multidisciplinary projects. Our REU students learn how to use some of the nation’s largest supercomputers, may participate in the setup and management of large-scale simulations, and may take on an important role in the analysis and visualization of the simulation results. It’s that time of year when our Brand, Creative, Strategy and Technology teams start to geek out about all the latest trends. And there’s a lot to be excited about. From new 3D web technologies and flexible layouts to video, interactive data visualization and virtual reality, there are so many ways to delight users in 2017. Tentatively, State Farm will be hosting Millkin at their south campus in Bloomington for a tour of their systems departments, data center, and to interact with alums working at State Farm. More info to come. For now, save the date. More details to come. Over 100 employers. If you are a senior and are still looking for employment after graduation, YOU NEED TO GO TO THIS. Two philosophies have driven the design of microprocessors. One perspective uses complex instruction set computing (CISC) which deliberately includes complex instructions. This methodology allows for simpler machine-language programs at the expense of adding additional control unit circuitry (Burd, 2016, p. 120). 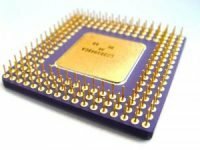 Leading chip manufacturers such as Intel and AMD have placed more emphasis on increasing processor speed to accommodate for the extra instruction cycles. The contrasting school of thought uses a reduced instruction set computing (RISC) methodology. These processors avoid instructions that combine data transformation and data movement operations. RISC processors have the advantage of being the processor architecture of choice for computationally intensive applications. These two opposing architectures have been in existence over the past 50 years mostly for backwards compatibility purposes. Intel processors include approximately 678 different instruction sets and the chip manufacturer must be able to provide backward compatibility for programs written on older platforms (Burd, 2016, p. 134). Because of RISC’s simpler instruction set design, it is believed that these processors use less power than CISC and are optimal for battery-powered and low-power devices (Clark, 2013). Blem, Menon, and Sankaralingam compared these two architectures and found that neither processor specification was more energy efficient than the other (2013). Although two different processor design methodologies continue to be prevalent in the marketplace, there doesn’t appear to be an emerging leader in the near future. While processor speed and performance continues to be an important factor in system architecture, the CPU will continue to need efficient ways of accessing data for input, processing, and output. The CPU has an integrated set of methods to take advantage of its multiple cores and high clock speeds. For example, the use of cache memory, a special storage area (usually RAM) can be used to improve system performance. Although volatile, cache can use algorithms to predict what data is used most frequently from secondary storage. Because primary memory is usually limited in storage capacity and more expensive, secondary storage in the form of magnetic media is most often used to store files such as databases, video, and program files. Magnetic media uses multiple platters that spin on a servo motor to be accessed by a read/write head. As a result, it takes time for the CPU to request that data through device controllers and eventually locate the data on the physical disk. In relational database management systems like Oracle, for example, using cache algorithms can significantly reduce query times for processing and reporting. Chip architecture, cache, and secondary storage are all interrelated when considering design choices for system architecture. The available technology, performance implications, interoperability, and future technology all affect system performance. In the past 10 years, multi-core processors have changed the way data center managers think about virtualization technology to reduce server sprawl and increase server utilization percentage. However, this technology wouldn’t have come to fruition if processor designers hadn’t run up against the “power wall” by continuing to increase clock speed (Venu, 2011). Quantum computing continues to be researched so that, eventually, it can scale to become more affordable. Storage technology is now being thought about in the same vein as researchers are trying to write data at the atomic level on copper sheets using chlorine at sub-zero temperatures (The Economist, 2016). The innovators and engineers will continue to rethink our preconceived notion to allow for faster processing and higher storage capacities to meet the demands of the marketplace.